Some of the lesser-discussed vintage watches from Rolex’s long and illustrious history are their early self-winding watches, affectionately nicknamed “Bubble Backs” by members of the collecting world. Although they were not specifically designed for some demanding sport or an inhospitable environment, the Rolex Bubble Back represents the basic, self-winding template that all modern Rolex watches would come to follow. 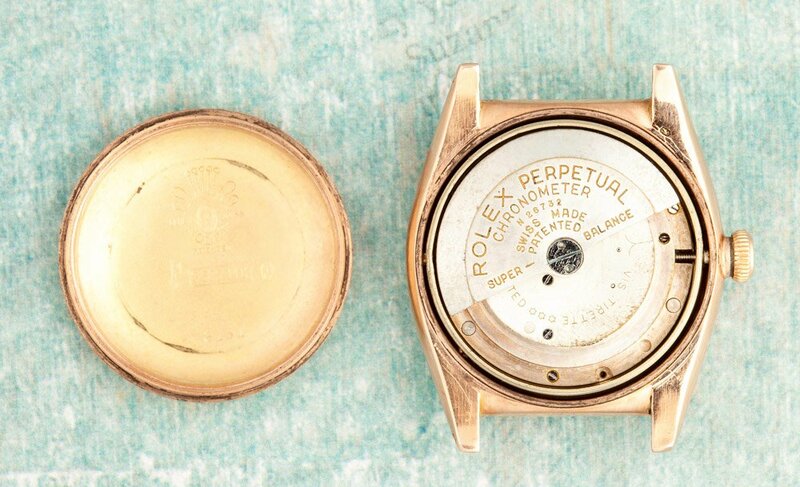 The Bubble Back is a vintage watch that set the ground work for many watches to come. Manufactured between roughly 1933 and 1955, a vintage Rolex watch without a doubt, dozens of different reference numbers fall into the unofficially named, “Bubble Back” category. 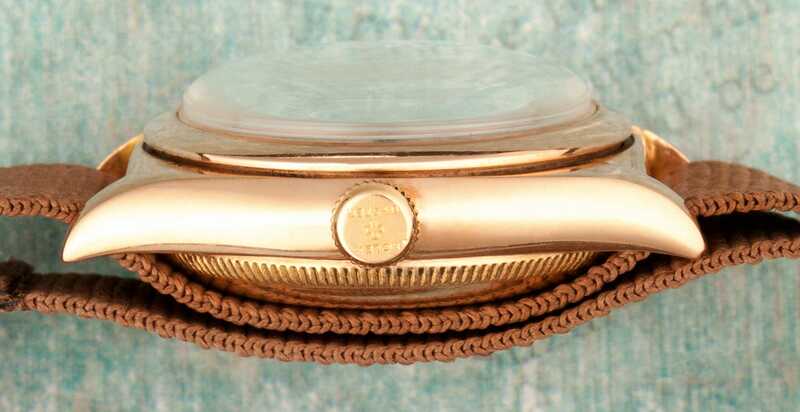 Rolex’s Bubble Back watches get their nickname from their extremely rounded, protruding case-backs. Although highly interesting from a design standpoint, the Bubble Back design was actually born out of necessity as an efficient means to house Rolex’s thicker, self-winding movements. It was during the 1930s that Rolex first began fitting their watches with automatic movements, rather than the manually wound calibers that had been traditionally used in their watches. The addition of the oscillation weight significantly increased the overall thickness of the movement, and required additional clearance for the rotor to move freely inside the case. Rather than making the entire case of the watch larger, Rolex decided to allow the case-back to protrude in a curved, bubble-shaped fashion. Here is an inside look at the Bubble Back. By today’s standards, Rolex Bubble Back watches are rather antiquated in design. Case diameters are relatively small and typically hover around 30 mm to 32 mm for the classic men’s models. Additionally, due to their domed acrylic crystals and convex, protruding case-backs, Bubble Back watches are disproportionally thick in an almost egg-like fashion. Although their large, dome-shaped case-backs have earned these watches a number of different nicknames throughout the years, the “Bubble Back” name is probably the most well known and commonly used today. The small case diameter and relatively large overall thickness combine to make a somewhat awkward and strangely proportioned, egg-shaped watch; however, Bubble Backs represent an early and important time in Rolex’s history, when the company was first starting to refine their self-winding watch movements. Here is a view of the Bubble Back Crown and the shape. Today, all Rolex watches are fitted with automatic-winding calibers; however they can trace their root DNA back to the original Bubble Back watches that Rolex first introduced during the early 1930s. Although later refinements to case and movement designs eliminated the need for a curved, protruding case-back, Bubble Back watches are emblematic of a time when nearly all watches required manual winding, and automatic movements were first starting to emerge from the different timepiece manufacturers. While the Bubble Back may not receive nearly as much attention or acclaim as other vintage Rolex watches, these early self-winding timepieces hold arguably more importance to the overall evolution and success of the Rolex brand than any other wristwatch that the company has ever put forward. Nearly every watch that Rolex now manufactures has the word “Perpetual” printed on the surface of its dial, and it was these early Bubble Back watches that were the first to receive Rolex’s inaugural, self-winding movements.